Want a preview? 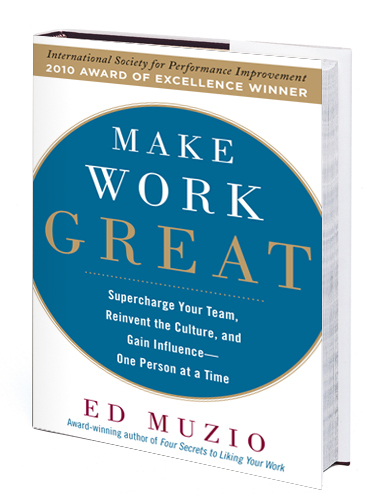 In addition to the quick videos located on this site, you can use the form below to receive a free excerpt from Make Work Great immediately via e-mail. As a bonus, you'll also receive "Avoiding Drama at Work," a mini-program from the Make Work Great seminar. We will not share your e-mail address with anyone. If you choose to accept our once-monthly newsletter, each issue will contain a link to safely opt-out. Adobe Acrobat reader is required to read the excerpt.